I just have the photo, not the calendar (it has to be for a calendar, right? 1992? ), so I can’t say for sure. 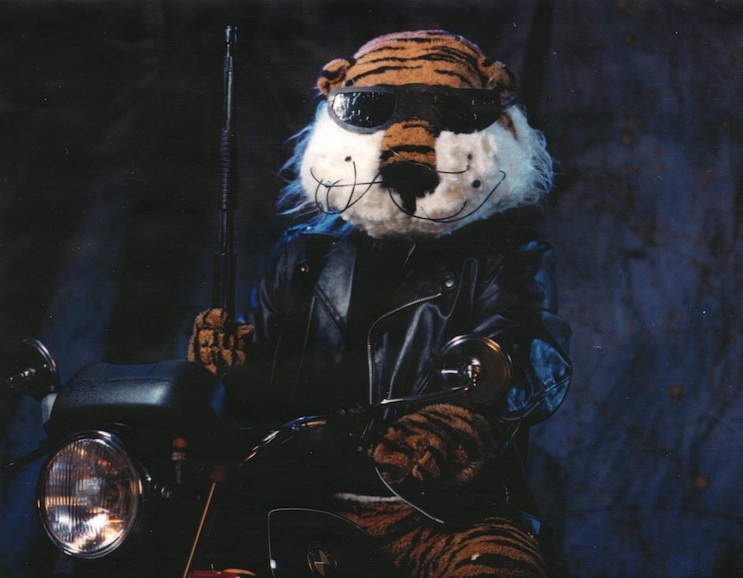 But if there isn’t an “Aubie Back” somewhere on the page of whatever month this photo of Aubie as Arnie, I’ll be ashamed. Here’s a desktop background-sized version. Related: Ever Phil Neel-drawn Auburn vs. Clemson program cover (even the dirty ones). A Terminator on a BMW??? Nahhhhh….